In an effort to uplift the country’s music and unearth talent among others, Jacaranda Cultural Centre (JCC) in Blantyre has created a platform known as Sounds of Malawi Acoustic session. The Sounds of Malawi Acoustic session will be taking place every Thursdays and starts tomorrow with Agorosso’s set. 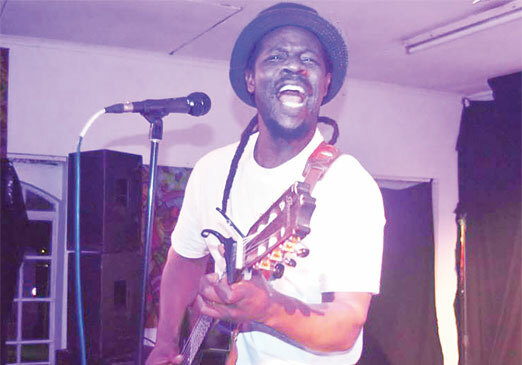 Musician Code Sangala, better known as C.O., who is leading the project, said Tuesday the Sounds of Malawi Acoustic set is all about growing the country’s music as well as giving it the space it deserves. “Through this stage we want to promote music that has Malawian flair. We also believe in creating opportunities and collaborations hence coming in with this initiative. We just want to call upon the corporate world to come in and support this move,” C.O. said. The executive organiser of the project said JCC’s quest is to identify music of Malawi. “I feel that we are drifting away from our original music and taking too much interest in Western style and I am afraid where we are going we will end up losing everything. We have great talent here and there is so much to tap from and this is what we need to put on the ground for the younger generation,” he said. The former Big Brother Africa representative said the stage would also give musicians who are passionate about Malawi music stressing that this is an acoustic setup. “This is an idea which stems from a showcase musicians had last year which was attended by the German ambassador. So Jacaranda Foundation Executive Director, Luc Deschamps, felt we needed to take a step,” he said. C.O. has of late with his The Tribe Band revisited some of the old songs of artists such as Tione Mwela and Barry Paseli as part of appreciating the beauty of Malawian sound. “I would like to encourage Malawian musicians to start digging deep into authentic Malawian music,” he said. The singer and guitarist, who used to star with Kapirintiya before going solo, said the nature of the session will be one-on-one. “This is an intimate interaction and we will also be using it as part of scouting talent from the streets, there are good artists in the streets who do not have the platform, so we want to bring them to the stage,” C.O. said. He also said that platform will give a chance to musicians to tell their story and interact with the audience. “The musicians will chat and then perform. There will also be some sort of Happy Hour where people will relax. There are artists who are doing well but are underrated,” C.O. said. Situated at Mandala, JCC has opened up to artists hosting different performances.